The major goal of the Summer School “Translational Challenges for Neurodegenerative and –psychiatric Disorders: From Models to Patients” was to generate a novel network between young neuroscientists from California and Bavaria. 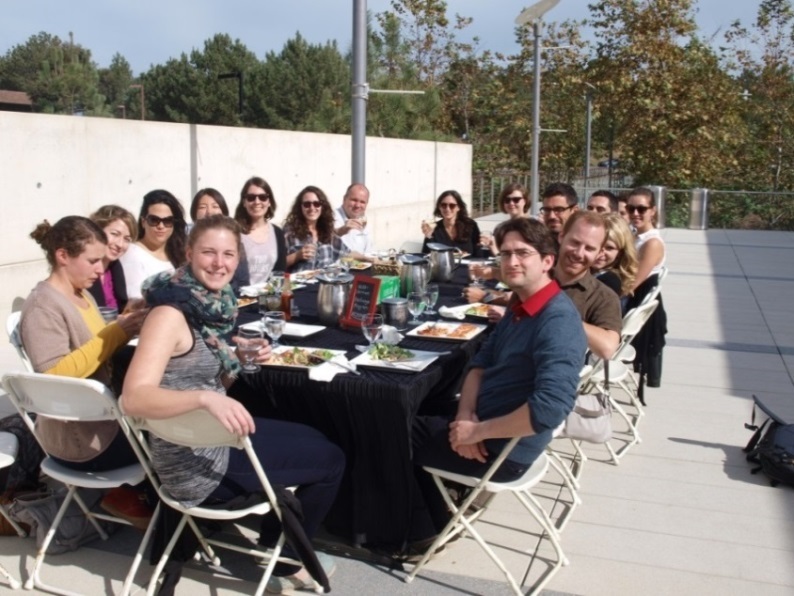 Since San Diego with its University of San Diego (UCSD), the Sanford Consortium for Regenerative Medicine, and the Salk Institute are one of the most prestigous sites for neuroscience research, the first part of the Summer School took place in La Jolla, Nov 8th – 15th, 2014. Bavarian PhD students from Erlangen, Munich, and Würzburg started for the workshop to San Diego to meet their californian exchange partners. 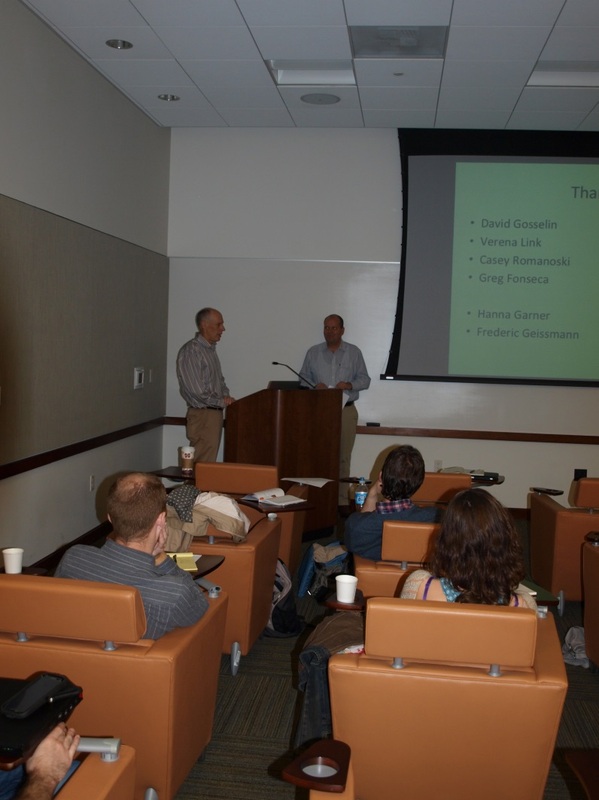 During the morning sessions internationally well known neuroscientists (Prof. Dr. Fred H. Gage, Prof. Dr. Chris Glass, Prof. Dr. Lawrence Goldstein, Prof. Dr. Elizier Masliah, and Prof. Dr. Mark Tuszynski) presented their ongoing and most recent research. The presented topics covered basic neuroscience research such as cellular and synaptic plasticity, the interaction between neuronal and glial cells with immune cells within the adult healthy and diseased brain, and more importantly the most recent and exciting findings in regard of Alzheimer’s disease, Parkinson’s disease, and spinal cord injury. This broad range of neuroscience topics and the interactive atmosphere of the seminars was the basis for a vivid discussion between all participants. 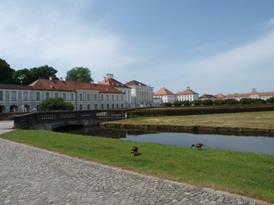 Furthermore, the students took the opportunity to present their own projects within the context of the Summer School. The joint lunch was always enjoyed at the Sanford Center under the warm Californian sun beeing most appropriate for the Summer School. In addition to the scientific morning seminars, the members of the Summer school visited small biotech start-up companies and the core units at the Salk Institute during the afternoons. This mixture gave the participants the unique opportunity to look behind the curts of small pharmaceutic companies for drug development and to directly talk to research staff scientist. 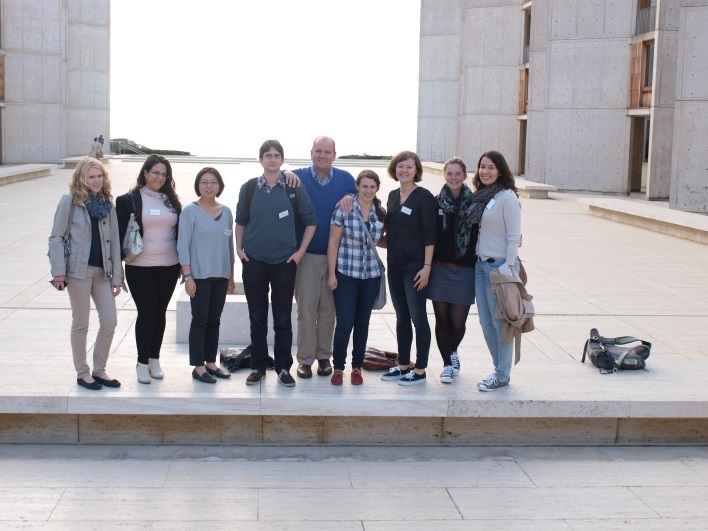 The students further visited the core units for Stem Cells, Biophotonics, Viral Vectors and Next Generation Sequencing at the Salk Institute in small groups. The heads of the core units gave state-of-the-art lectures concerning the respective technologies and individual tours through the core units. Additonally, each german student visited the laboratory of one Californian exchange partner giving them ample opportunity to learn more about their projects. Another important aspect of the program was the seminar about "Ethical considerations in the diagnosis and treatment of neurological diseases" presented by Prof. Dr. Mary Deveraux. The evenings were used to tighten the network between the particpants, and to exchange and discuss ideas, as well. Besides the Californian and Bavarian evening, for which the particpants prepared typical dishes of their respecitve home country, we expored local mexican and asian food places. Finally, the last afternoon was spent at the Mission Bay to master together a “stand up paddle tour” on the Pacific Ocean. After one week of great scientific and cultural exchange, everyone is looking forward for the second part of the program taking place in Munich in July 2015! 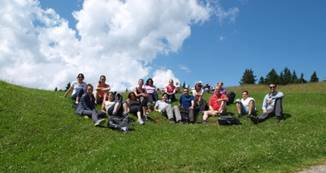 Six months after the first exchange in California, participants were reunited during the second part of the Wolfgang Hillen Summer School for Neurodegenerative Diseases in July 2015 in the Bavarian capital - Munich. 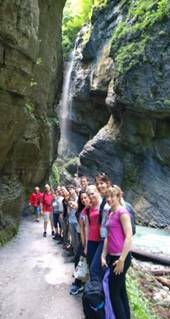 For the Californian participants to acclimatize after a long flight from the west coast, we started off with a hiking tour in the Partnachklamm close to Garmisch-Patenkirchen. The scenery and view from the local mountains were breathtaking! 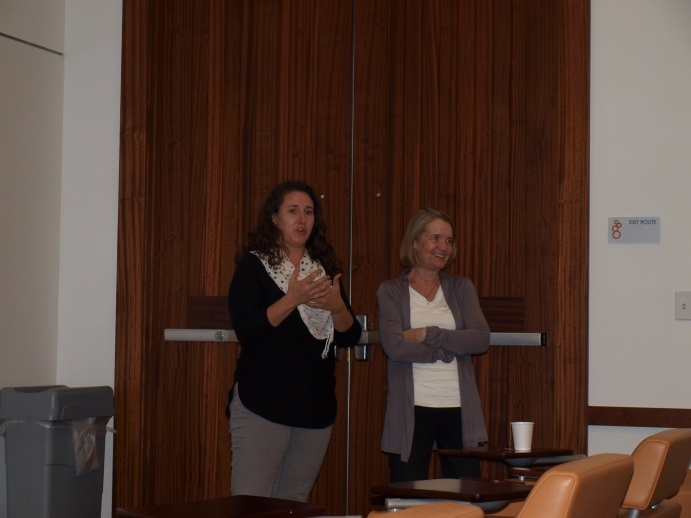 The topics covered during the Bavarian-Californian neuroscience exchange were representative of the interdisciplinary nature of research in Neuroscience. PhD students presented a broad range of individual projects from the field of Parkinson´s and Alzheimer´s disease, related to the molecular basis of mitochondrial dysfunction, altered peptide processing and neurodegenerative disease propagation, brain and peripheral inflammatory responses. Our different viewpoints and approaches actually shared common challenges and limitations. Moreover, we had the opportunity to attend lectures of experts from the field, including, a presentation of the clinical aspects of Parkinson’s disease by Prof. Dr. Winkler, the cellular and molecular basis of tauopathies by Prof. Dr. Höglinger, the crosstalk between the gut and the central nervous system and its impact in Multiple Sclerosis by Prof. Dr. Wekerle and the neurodevelopment of the dopaminergic system by Prof. Dr. Wurst. Stimulating discussions followed the lectures. The next day, the Bavarian students guided their Californian counterparts through the Friedrich Alexander University Erlangen-Nürnberg (FAU) Campus and individual laboratories. 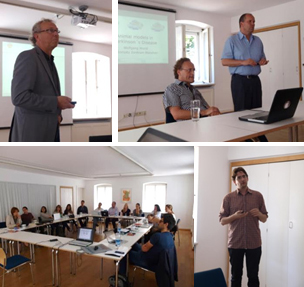 The infrastructure and different scientific Units were introduced, but most importantly, several scientists gave an overview about the ongoing research and future scientific perspectives at the FAU Erlangen-Nürnberg. Furthermore, the participants were happy to meet the Executive Director of the BaCaTeC, Dr. Rainer Rosenzweig. In the afternoon we had the opportunity to discuss with Dr. Marc Brinkmann from Novartis challenges in the translation of basic research to the clinic for the development of novel therapeutic approaches. The finishing note of this exciting day was our dinner and leisure time in the historic center of Nürnberg, which was representative of the Franconian tradition and culture. On the fifth day of the Summer School we visited the German Museum in Munich, the largest Natural Science and Technical museum in the world. We got exciting insights into Nano- and Biotechnology showing complex structures in the nanoscale. A giant simulation of the molecules contributing to muscular movement and a weighing device using body weight to measure the deflection of a granite boulder in nanometer were indisputable highlights. Also, Markus Lackinger from the laboratory of Nanotechnology introduced us to supramolecular self-assembly. Afterwards we visited the German Mouse Clinic of the Helmholtz-Zentrum, which has great expertise in extensively phenotyping various multiple mouse models mimicking certain aspects of human diseases. 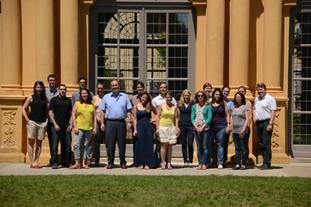 The participants attended the ForIPS International Symposium for Human Induced Pluripotent Stem Cells in Nymphenburg, July 2nd-3rd. Advances in the use of these cells in the modelling of neurodegenerative or neurodevelopmental disorders, as well as current applications, limitations and future goals were discussed. Excellent talks by International Experts including L. Studer, M. Götz, B. Winner, K. Saijo, A. Björklund, F.M. Vaccarino and J. Sterneckert were attended. Further discussions took place during the interesting poster sessions.